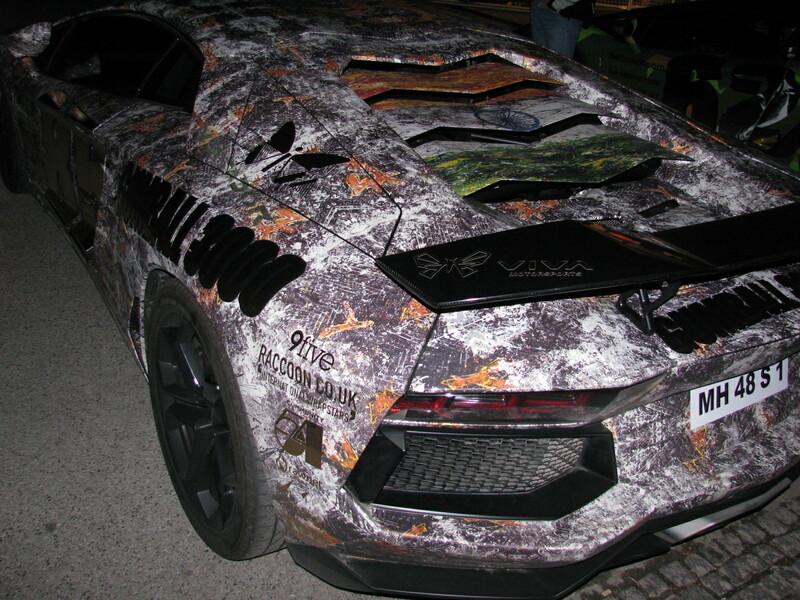 On 23.05.2013 the Gumball 3000-Rally visited Vienna. Of course the expected number of foreign cars with uncommon numberplates could be seen parked next to the Vienna ´Hofburg´castle. Remarkable was, that no car wore the necessary distinguish sign (oval) and most countries could only be identified by experienced spotters. 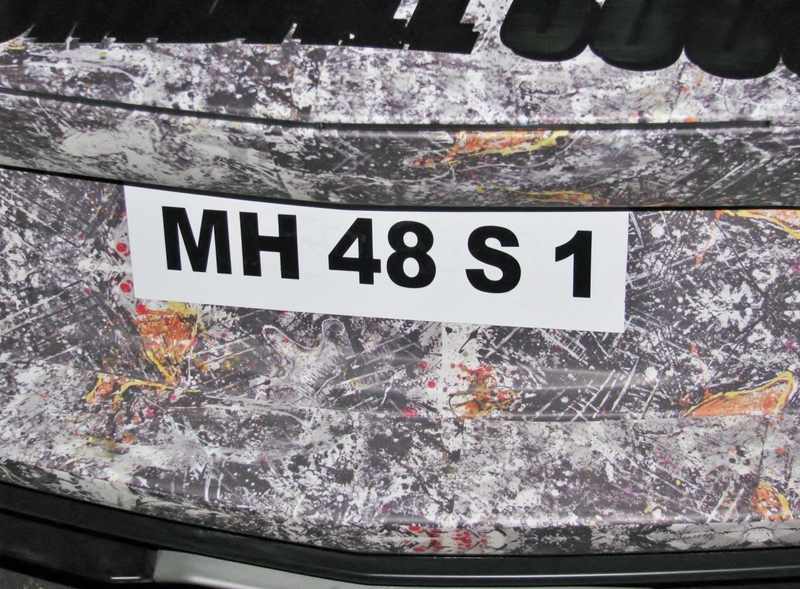 The car showed in the attached pictures arrived together with and parked next to an arabian colleague from Qatar, so probably it´s a translated arabian plate, but nothing else supplied references to the place of origin. You only have to show yourself as VIP and all bow down! 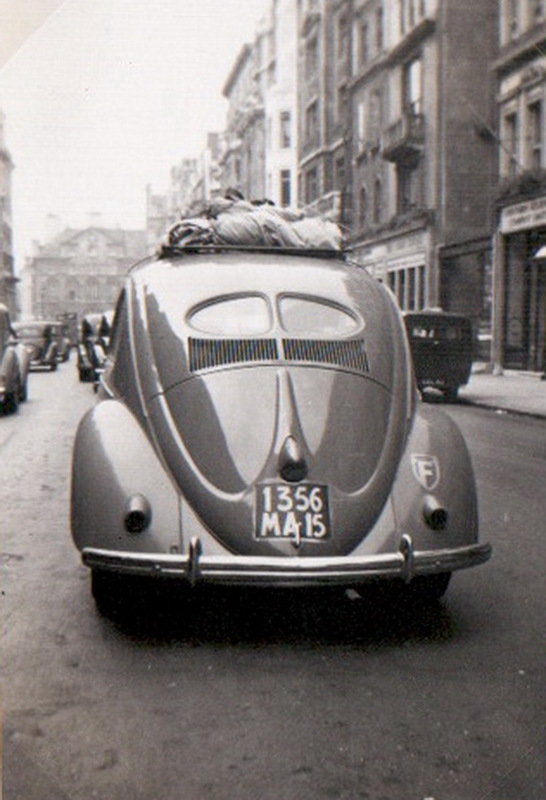 To see a car from Senegal, in Britain, in about 1950, would have been a big slice of luck. 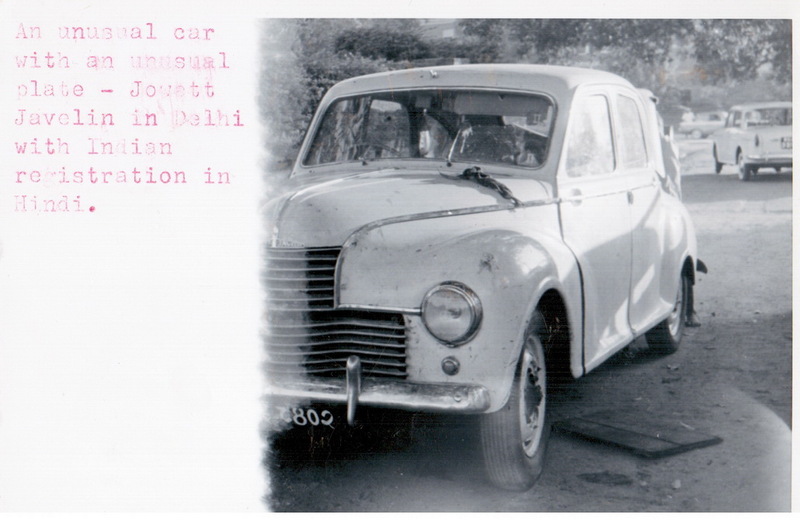 Here is John Pemberton’s sighting, on an Austin A40 Devon car – unusual to find in a French territory. Can Francoplaque help to explain why the plate is ‘dark on light’, perhaps, as we think all were white on black then? 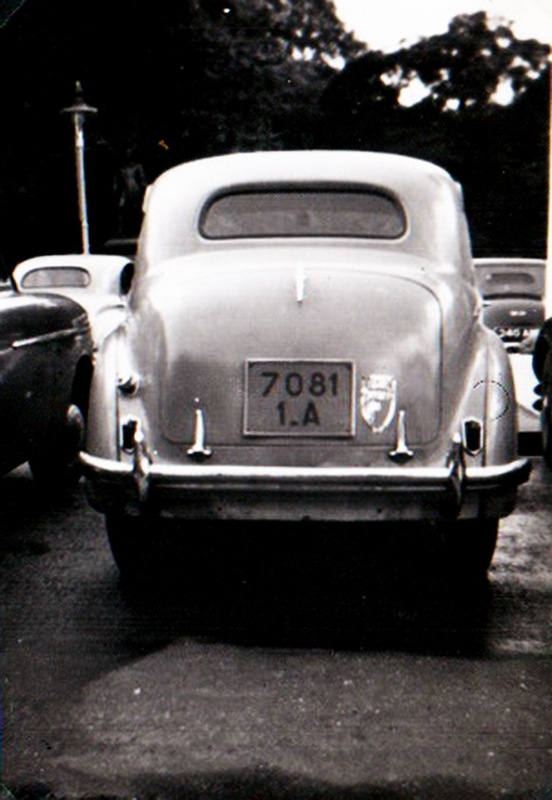 A 1949 Austin Devon from Senegal, French West Africa. 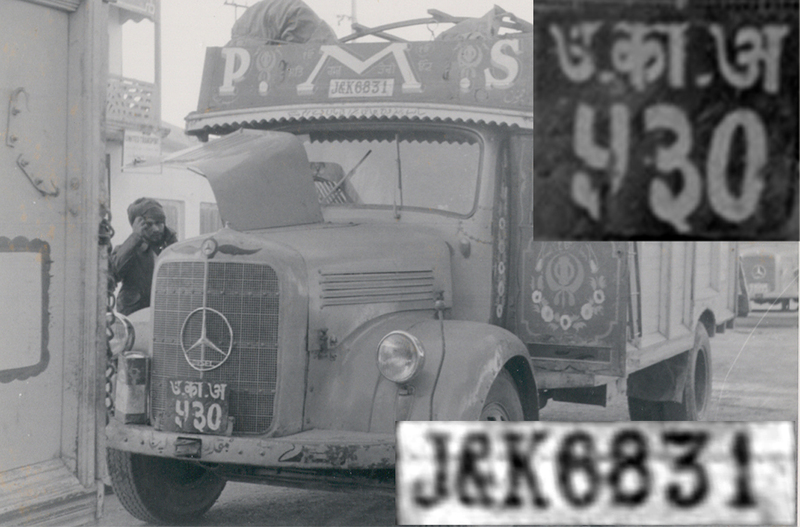 This early VW also carries the alloy ‘F’ sign, because its plate is from the pre-1956 independence, French Moroccan series – 1356 MA 15. 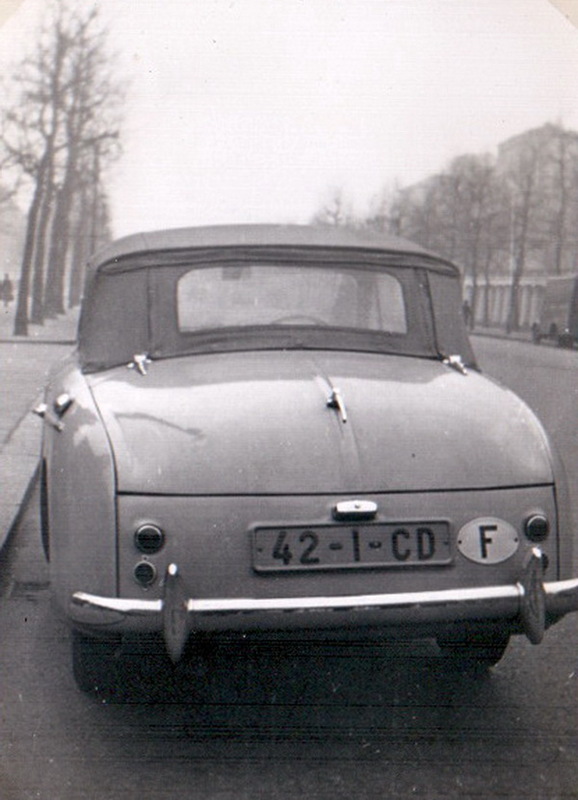 And concluding this foray into interesting French series, John captured a CD of an unknown type to me, carried on a rare Austin A40 Sports, made predominantly for the USA. 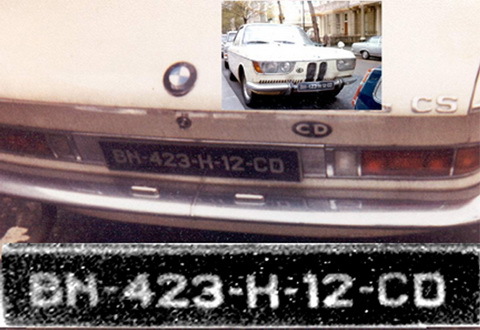 This BMW2000S coupé was parked in Queens Gate, London for about a year during the 1970s, bearing this unexplained plate. Next to it was an Austin Mini with similar plates, which I didn’t photograph, it seems! Once I saw the driver and he claimed that the cars were from Burundi – but I have never believed it…. What do YOU think? 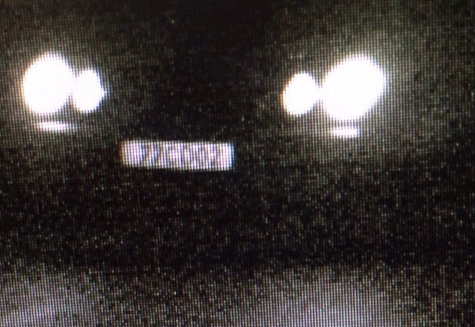 The BMW was seen and photographed by another Europlate member, Simon Brazel, by coincidence. Do you still have your photo, Simon? You are currently browsing the archives for the UNIDENTIFIED category.